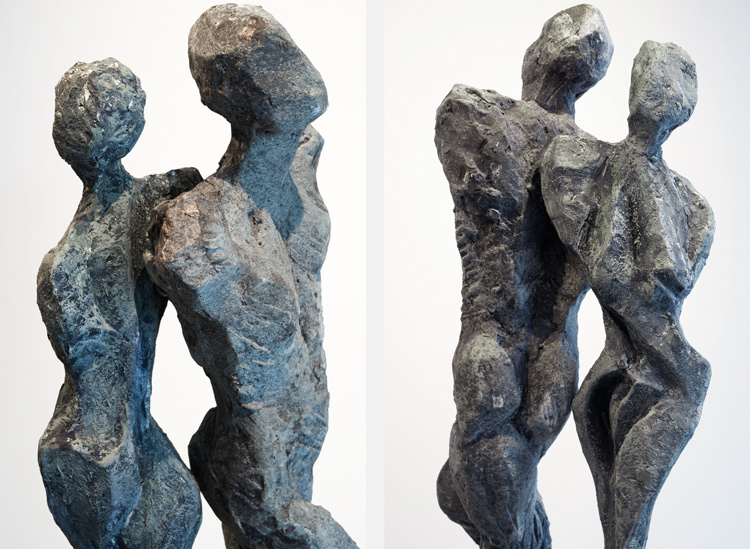 In an interview with our galleries, sculptor Sheila Ganch shares the process and inspiration behind her work. 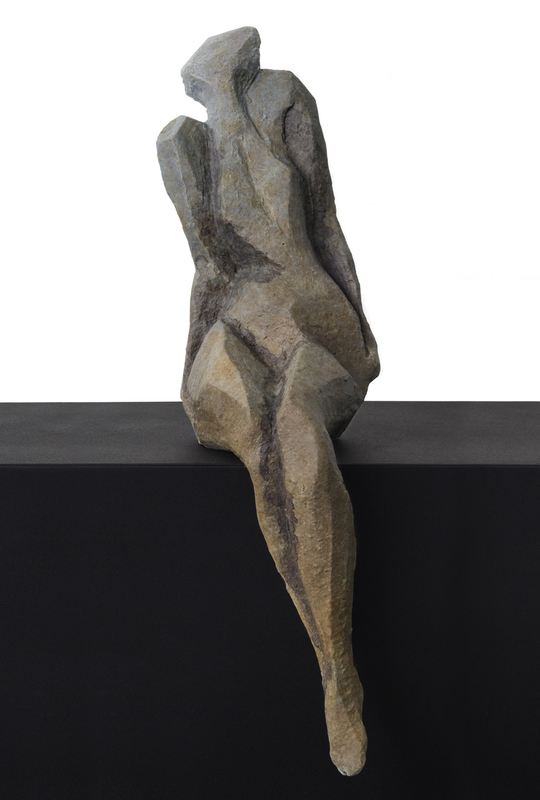 Delve into Ganch’s complex, figurative sculptures and the surfaces that make them so compelling. SG: I’m largely inspired by organic forms in nature — the flow of a flower petal, the sharp edges of a bone, the curves of the human figure, the unpredictable contour of a cloud. I also find inspiration in nature’s weathered forms and man-made structured affected by nature — the walls of an old building in Europe or Mexico changed by years of weather and abrasion. The same applies to natural formations — rock and mountain surfaces altered by weather and geologic events. When traveling, I take photos of surfaces to enhance my memory and bring those elements to my sculpture. 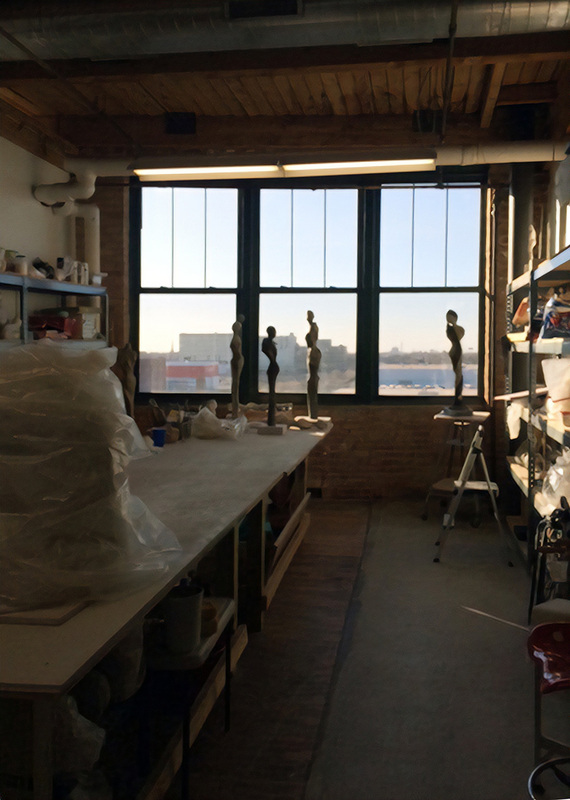 SG: I have just moved my studio to the South side of Chicago. I am in a ceramic center surrounded by excellent sculptors and potters doing exciting work. I moved in here just a year ago and am already pleased with the level of work and the sharing of process and ideas. SG: I believe my surfaces are unique. I have worked with many experts on surfaces and taken bits and pieces to make my own sound. 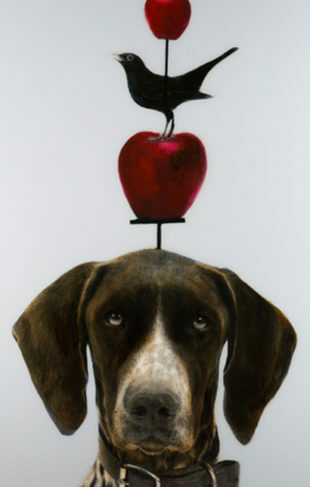 I also think my figurative forms are unique as most people recognize my work without looking at my signature. 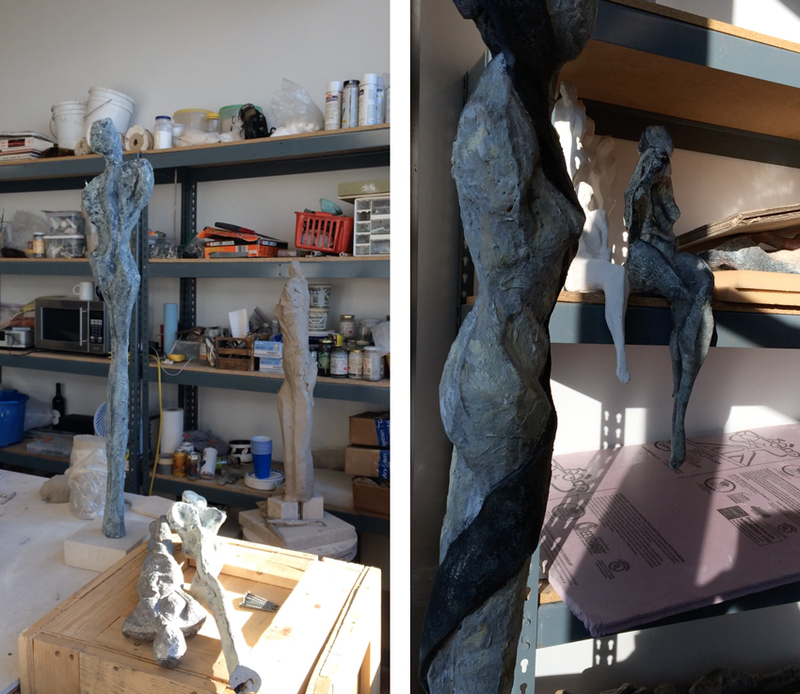 SG: With sculpture, I began in metals. I did small bronze figures, worked with thin metals such as copper and brass, and attempted some welding. Metal was not a friendly material for my organic forms. I was exhibiting in a gallery and saw a ceramic sculpture that I loved. I studied with this artist for several years and we became best friends. We traveled to San Miguel, Mexico for several years to study at the instituto. Working with clay gave me the freedom to totally express myself and create the forms that I obsess over.